My Daily Balloon: 9th May - E.T. Long time ago, in a galaxy far far away . . . . . Oh, no, that is the wrong film, let me start again. 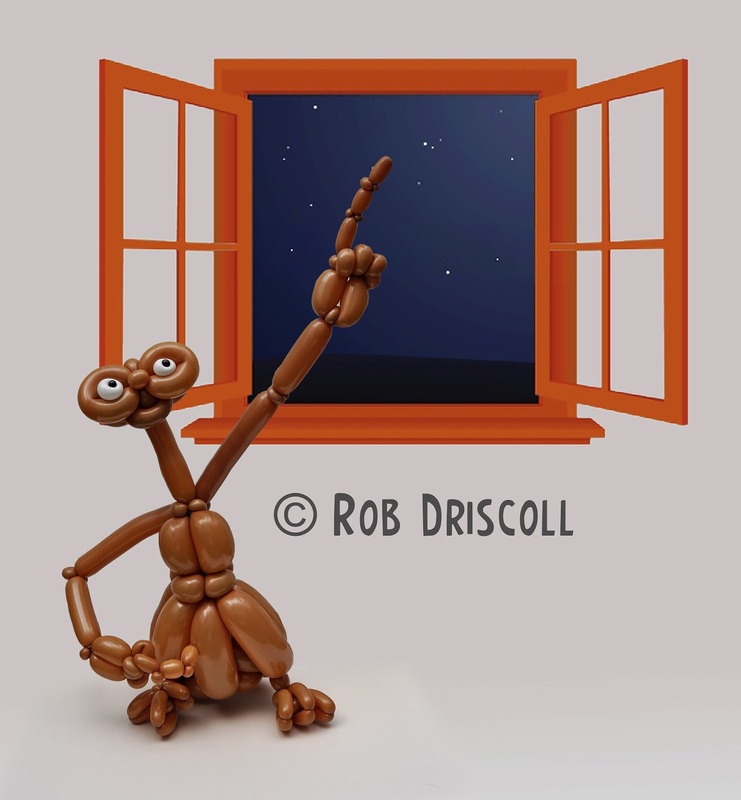 A couple of months ago and not that far away at all I was set a challenge by Keith to make a few sculptures, the first idea he had will take some more thinking but will come up in the near future, the other idea was to make E.T. 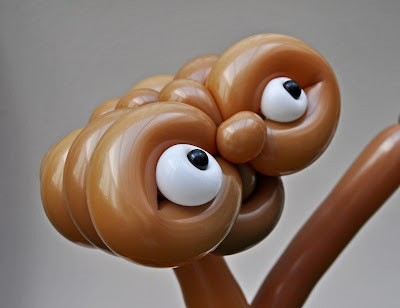 Its taken me so long to get around to making this sculpture, I am such a big fan of E.T. I wanted to get it just right. This sculpture is totally my own design and is made from 15 balloons, the head is mainly made from 260s and the body is mainly made from 350s, the feet and hands are made from 160s and 260s, the only non brown balloons are for the eyes, these are a tiny bit of black 160 and a white 260. Thanks for the challenge Keith, I shall get around to make the other sculpture very soon, although I am somewhat worried it will open a whole new can of worms as I will be getting requests for all kinds of things from that hexalogy of films (thats a clue).